But that doesn’t mean we didn’t post some cool stuff! We reported on Looney Labs’ expensive new Kickstarter version of Are You a Werewolf? 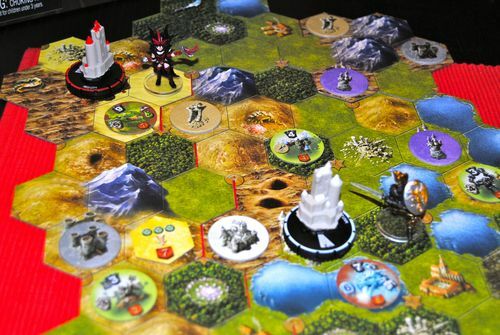 And finally, we reviewed that behemoth of a fantasy game, Mage Knight! Thanks so much for reading! We’re taking a much-needed break for the Labor Day weekend, so we’ll see you on Tuesday. Next week we’ll have a review of the brand-new Tooth & Nail: Factions, and much more. Stay tuned!